You may need to remove sensitive words, sentences or paragraph text from your PDF documents. 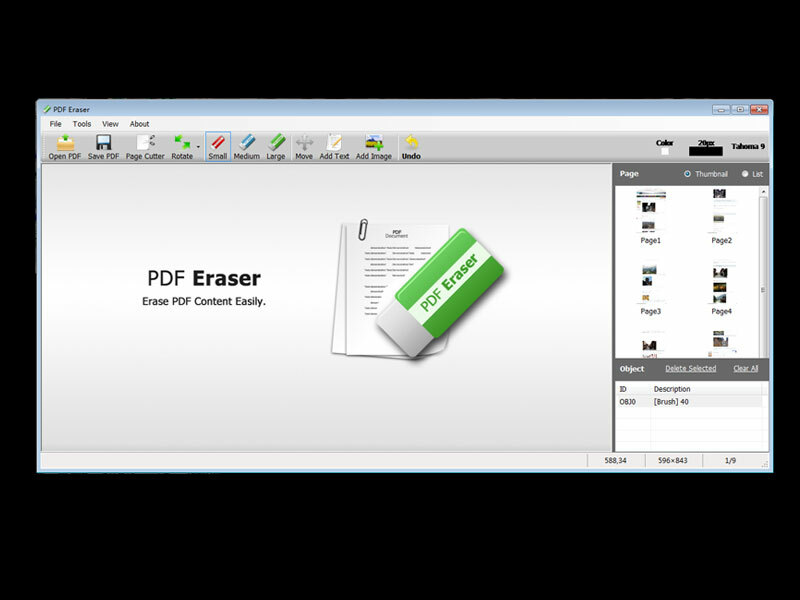 This is the tip shows you how to delete text from a PDF file with PDF Eraser, which can work well with both text PDF and scanned PDF. Click on the "Open PDF" button, select the PDF file and click "Open". Move the mouse onto the page list, and click on the page which contains the sensitive text you want to delete. Click on the "Delete Area" tool on the toolbar, and then drag and draw an area surround the sensitive text. Click on the "Save PDF" button to save the edited PDF file, and the program will automatically removed all text you set in the area. Click the "Open PDF" button to open the PDF document. Move the mouse onto the page list, and click on the page which contains the unwanted content. There are 3 different sizes of Eraser tool on the toolbar, select one and erase on the text you want to delete. If you want to customize the eraser's size, please click bandwidth button next to the "Color". Click the "Save PDF" button and save the erased PDF document. Note: If you want to change the text in a PDF, please delete the original text, save the PDF file, then add your text. To prevent the program from deleting the newly added text, you have to save the edited PDF file first.